The Engineering Hall was designed by architect, George Wesley Bullard. 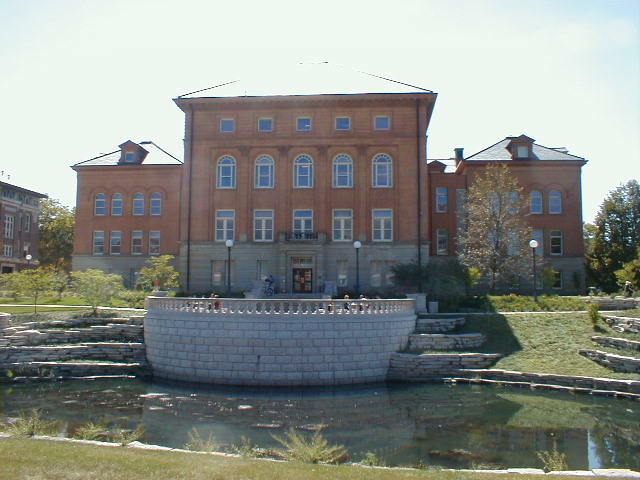 Located in Champaign, this administrative building was completed in 1894. In June of 1893, the University Board of Trustees asked the General Assembly of Illinois to appropriate $160,000 in funds in order to erect a building for the College of Engineering. An act was passed on the 6th of June to appropriate these funds for University use. The Board held an open competition to University alumni only for the design of this new building. On July 5, 1893 George Bullard's design was chosen as the winning design. In October of that same year the contract of erection and completion was awarded to Yeager & Schultz of Danville, IL. The original design was intended for interdisciplinary use around the North Quad. It included lecture, recitation, and drawing rooms for the Engineering Department and also housed laboratories and lecture rooms for the Department of Physics. The front of the building is 200 feet wide, with wings on each side which are 75 feet, while the center portion extends 140 feet back facing the North quad. The building is four stories, made up of Cleveland sandstone at the bottom, while the rest is of buff pressed brick and terra cotta trimmings. Plate glass windows, Washington fir, and polished oak were used to create a grand experience for the interior. The steps leading up and into the building bring you to a hallway that allows you to see all the way to the back side of the building, creating an experience that gives the full effect of the building and its layout. To this date, the building is still used for administrative and academic purposes of the Engineering School, as it was originally intended. 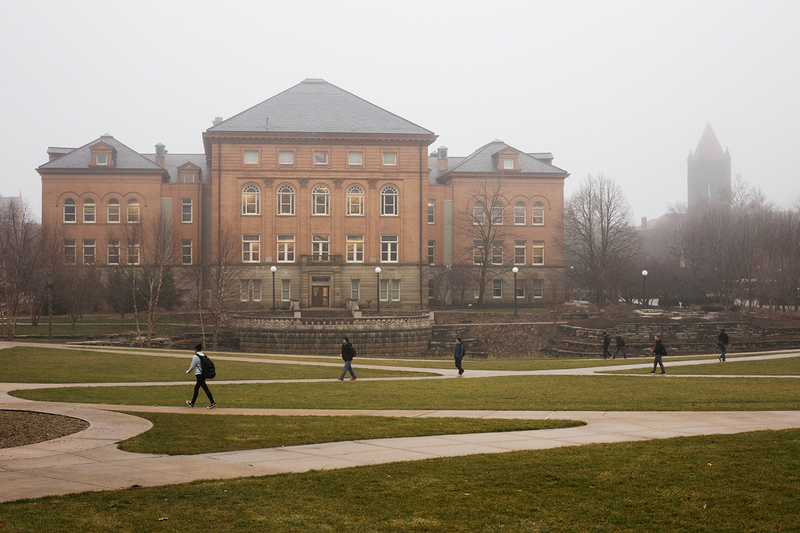 Regarding the North Quad buildings, it is the oldest to be still standing. Engineering Hall went under renovation in 2000. Looking at the building from the North side can be quite the experience with recent renovations to the landscape. George Bullard was the sole architect in charge of designing Engineering Hall. He graduated in 1882 from the University of Illinois. He designed Engineering Hall while working out of room number 506 in the Fidelity Building located in downtown Tacoma, WA. George came from a large farm family in Wheatfield, IL. In 1882, George wrote a thesis paper regarding the architecture of rail road buildings while at the Illinois Industrial University. He was a graduate of the University of Illinois and studied under famed architect Nathan Ricker. 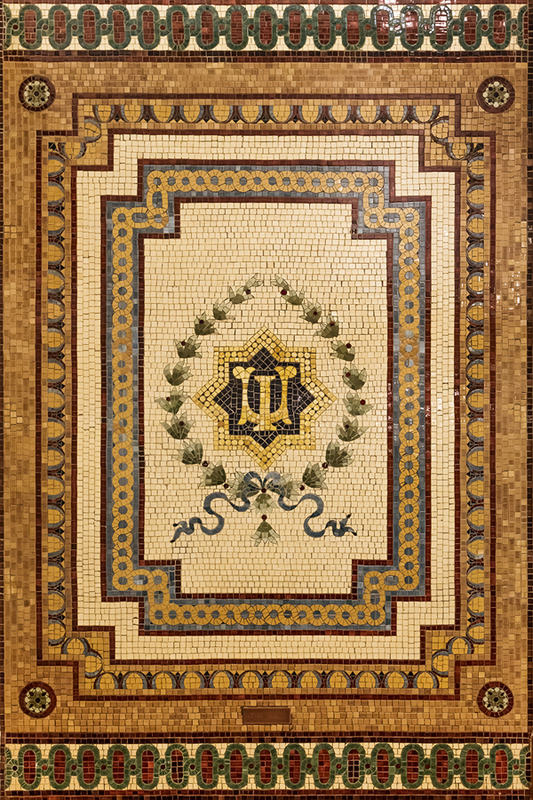 University of Illinois symbol, 4th floor: Mosaic on the fourth floor of Engineering Hall which contains University of Illinois symbol designed by the university's first graduate in architecture, Nathan Ricker. Image courtesy University of Illinois Public Affairs. Copyright University of Illinois Board of Trustees. Engineering Hall: Image courtesy University of Illinois Public Affairs. Copyright University of Illinois Board of Trustees. 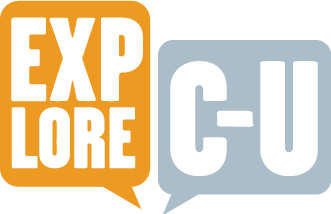 Matthew Schaeffer and Chan Uk Lee, “Engineering Hall,” ExploreCU, accessed April 20, 2019, https://explorecu.org/items/show/279.